Konecranes announces several job openings to accommodate its ongoing role as the world’s largest crane service network. 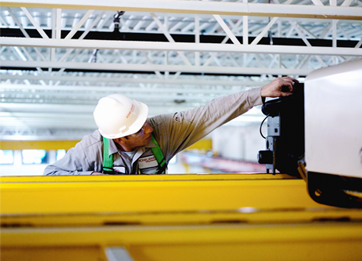 Konecranes is the largest manufacturer and service provider of overhead cranes and lifting equipment in the world. As a continuously growing organization, they are actively seeking to fill the following positions: overhead crane technicians, industrial electrical technicians, overhead crane inspectors, engineers, sales representatives, branch managers and more. “Konecranes employees are committed to helping our customers enhance safety, productivity and reliability in their overhead lifting equipment,” says Recruiting Manager Mike Magnotta. They offer a competitive compensation package including incentive opportunities, medical, dental and vision insurance, 401(k) with company match and tenure-based contribution, life and disability benefits, holiday, sick and vacation pay, an employee share savings plan with matching shares, tuition reimbursement and more. Konecranes is Equal Opportunity/Affirmative Action Employer. Konecranes provides productivity-enhancing lifting solutions as well as services for lifting equipment and machine tools of all makes. In 2014, Group sales totaled EUR 2,011 million. The Group has 12,000 employees at 600 locations in 48 countries. Konecranes is listed on the NASDAQ OMX Helsinki (symbol: KCR1V).